I finished building my X-CARVE on December 2oth and ran my first test piece that night and totally fell in love with it. That thing is freaking awesome! Make sure to read all the way to the bottom of the page as there will pictures and comments throughout. 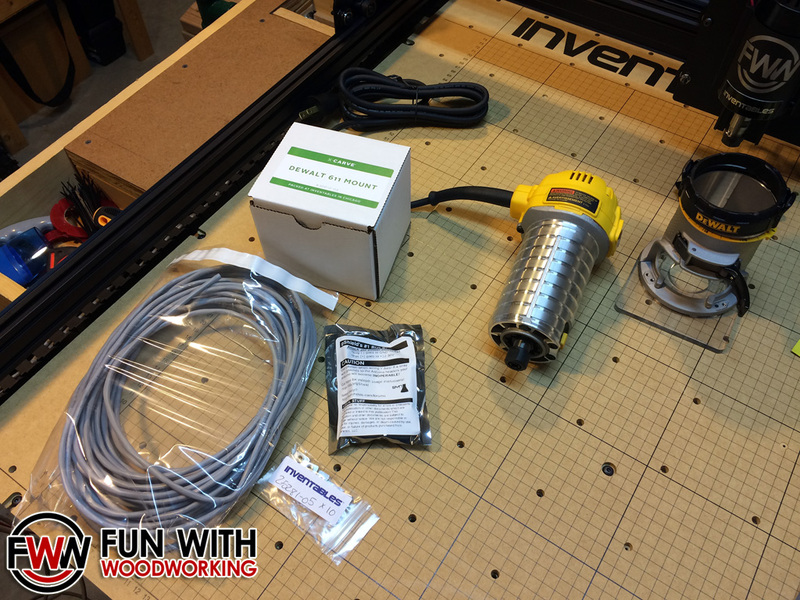 Inventables sent the X-CARVE to me in late July and family obligations and dread over the building process held me off from building it for the next 4 months. My wife and kids went on a trip to New Mexico to visit her family so I took a Saturday and spent the afternoon starting the build. I actually really enjoyed it! It was kinda like building an erector set. It took me about 3 – 4 hour sessions to get the machine built and then another 2 hours one night to get it dialed in and tested. 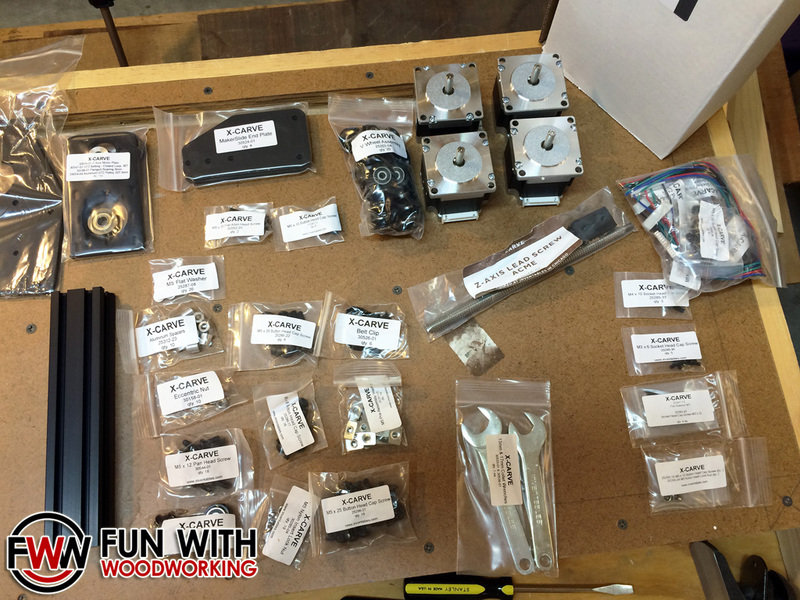 I started by unboxing all the components and laying them out on my work bench. 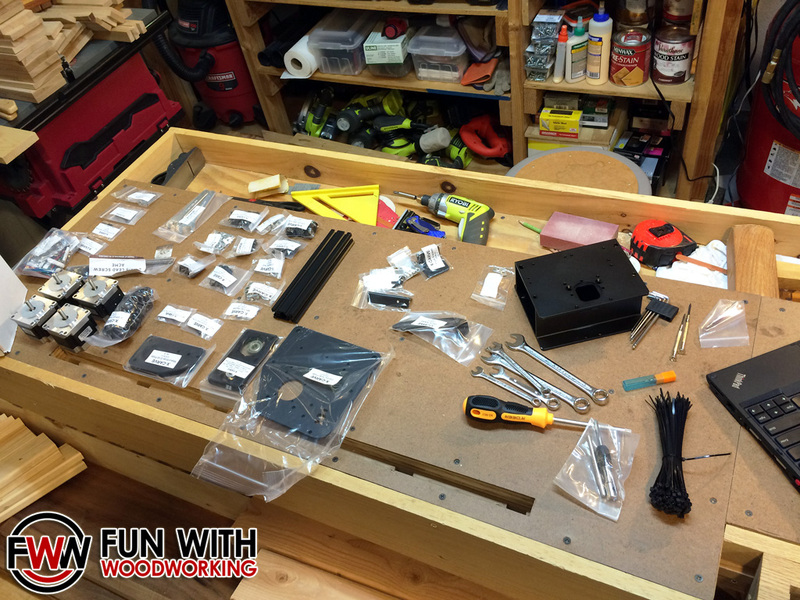 I then logged into the Inventables website and followed the step by step directions. Overall the build went quite well. I had to backtrack a couple of times because I got in too much of a hurry but they were minor issues. There were lots of little nuts and bolts and gears and v-wheels to attach but as long as you did everything in order and paid attention to the instructions it was all pretty easy. The hardest part was tapping the screws into the maker rails and that was easy once I got the cordless screwdriver and drill involved. I ran into 2 minor issues and 1 major one. 1st, the directions call for a 5 ft, 7ft, and two 12 ft cables to be cut out of a large roll. I cut the 5 and the 7 first and then was only left with 20 ft. That meant that the power supply would have to be right next to the machine instead of 2 ft away. Not a big issue. When it came time to bolt the rails to the waste board I needed 8 t-nuts and bolts and only had 2 t-nuts left. I removed the brace for the drag chain and used those 2 t-nuts along with the other 2 to get the rails mounted with 1 bolt each instead of 2. Once again, not the end of the world. The main kicker was when I removed the g-shield unit from the anti-static bag. A small piece of solder (or resistor) fell out with it. That wasn’t something that I was willing to take a chance with so I emailed customer service that Sunday night at 1:00 am. They got back to me by 9:00 am that morning and shipped out a dozen more t-nuts, 30 ft of additional cable, and a new g-shield board. 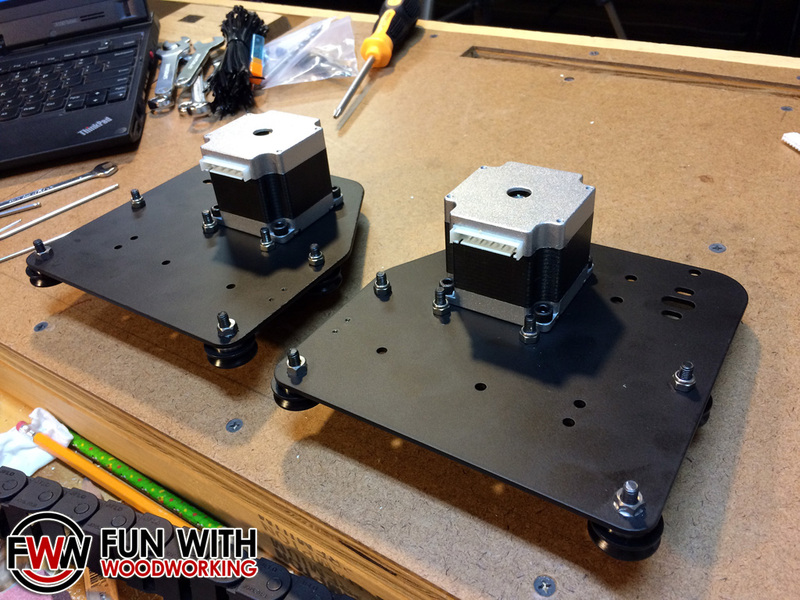 I was also able to talk them into sending me the DeWalt router and housing because that is what comes standard on it now. They overnighted everything to me and I was able to finish everything up on the following Tuesday night. Using the default speed and cut depth settings in Easel I was able to make my first test cut. I had a little bit of a learning curve with Easel and forgot to put the correct size in for the material so it started cutting too high. Then I didn’t lower the bit enough and it started the cutting process without actually touching the wood. 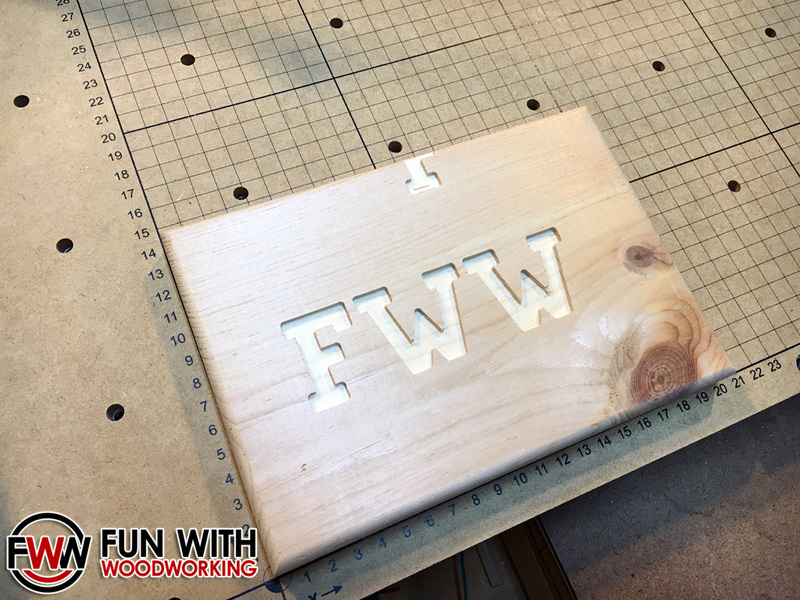 On the third try I was able to make an FWW using one of the stock fonts. 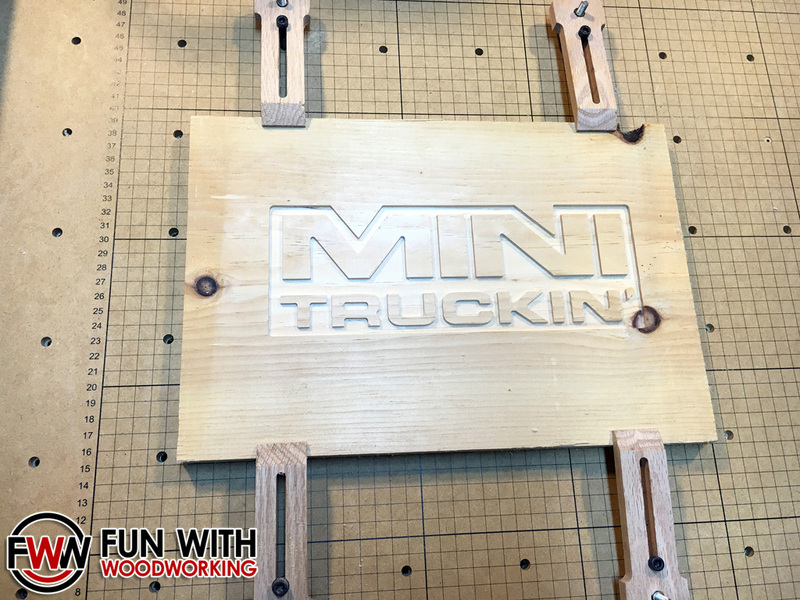 On New Years Eve I imported a file and cut out a Mini Truckin’ logo. It took a little over an hour with the stock settings. 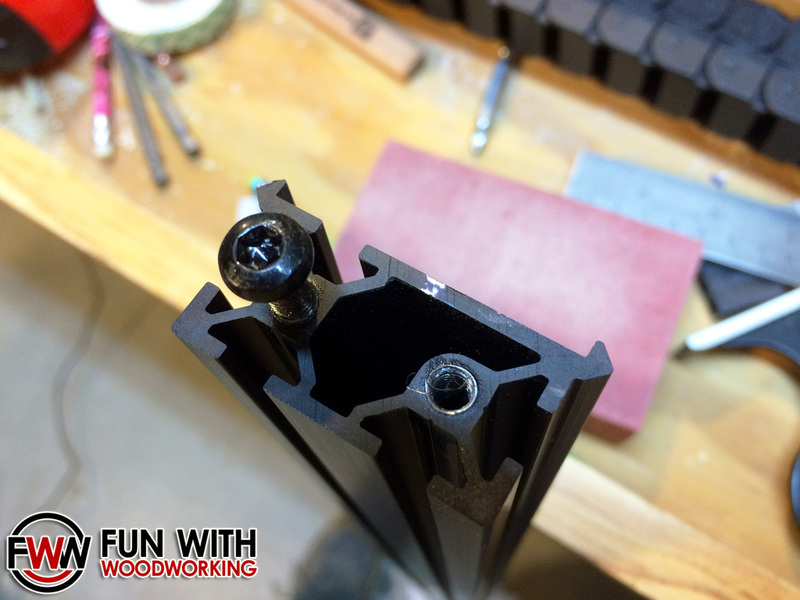 I did some research on the forum and determined that I should be able to increase the depth of cut and the cutting speed with the bigger router. I tried cutting out my car club logo and it totally messed up. It went from the bottom of the design to the top to cut and when it returned to the bottom, it went an inch too short and started cutting. 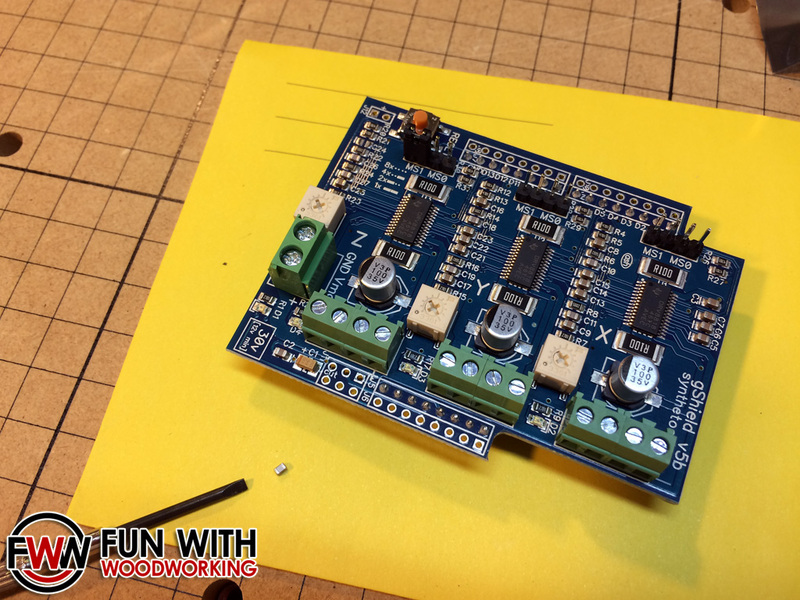 From watching other X-CARVE videos I determined that I needed to increase the power to the potentiometer and that fixed the issue. Overall I love this machine and think that it is awesome! My day job is also in the I.T. field and I am very comfortable working on computers all day so this is a natural extension of that. 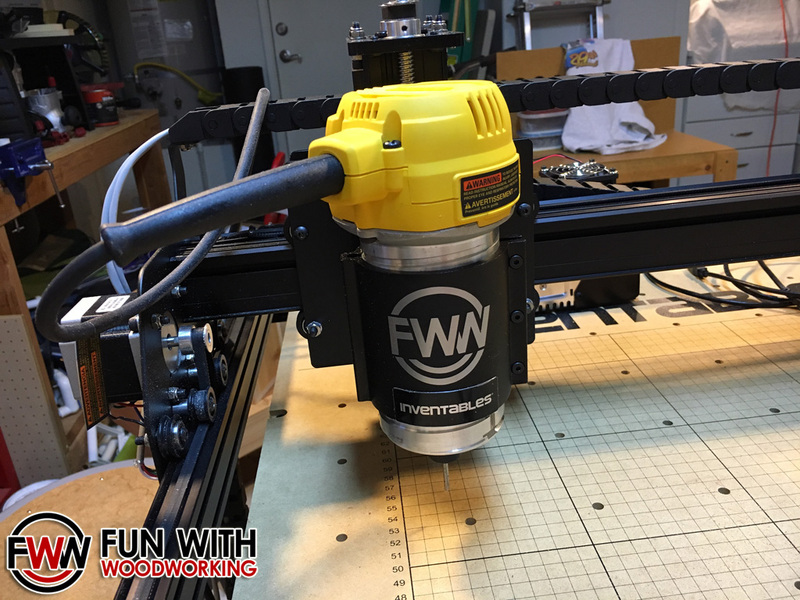 If you are somebody that is way more comfortable with your woodworking tools than your computer then this might not be the machine for you. The big question is: would I buy one? Yes, I would. I would spend the money to buy the smaller version and then use it to make and sell projects with. If I could make enough money off them to upgrade to the larger model then I would do so. If I couldn’t then I would stick with the smaller model. I believe that this machine is great for the hobbyist woodworker but wouldn’t last in a production environment. 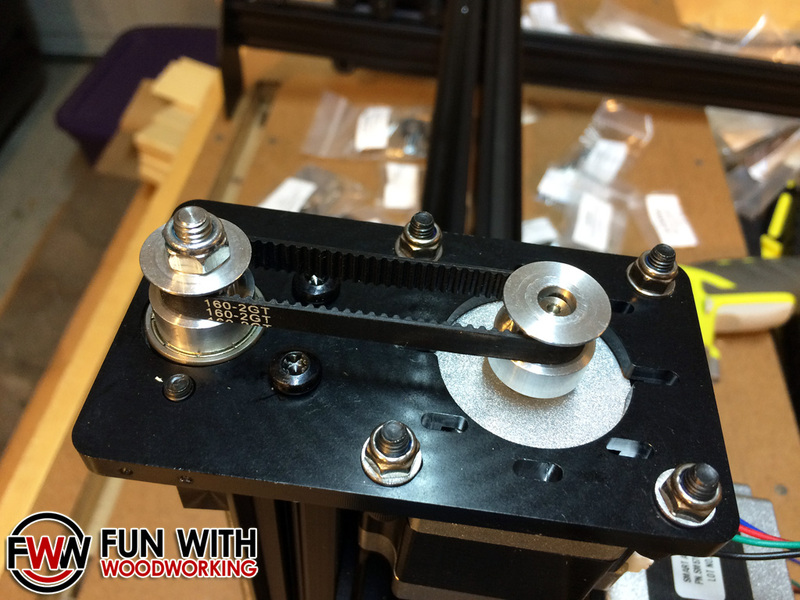 It just has too many small moving parts that need to be constantly aligned and cleaned to be used for big production runs. 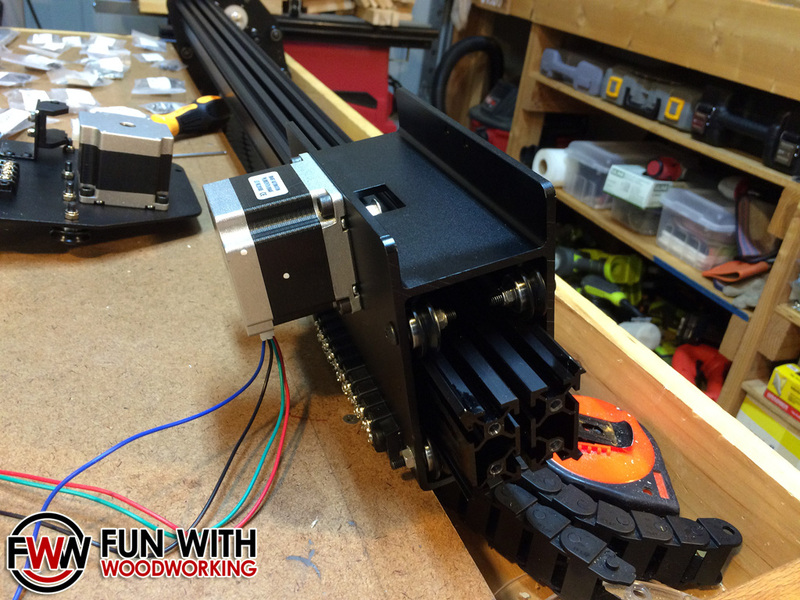 Keep in mind that Inventables did send me this machine for free and take my recommendation with a grain of salt.